Please include when and where taken, tech specs and any other pertinent details about the sighting. Etosha National Park, Namibia in 2009, close to Okaukuejo Rest Camp. 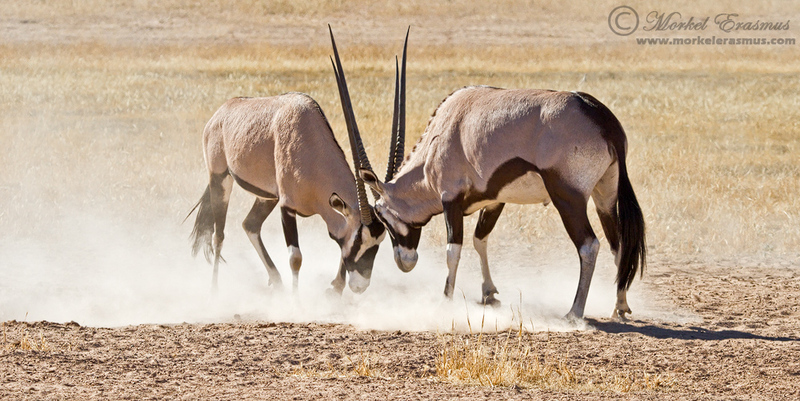 Gemsbok fencing in Etosha 2012. ...and the loser running off. Shot with a Pentax K-5 + DA 55-300 (f/8, 1/500, ISO 80, 1st @230mm, 2nd @300mm). Hard to take bad images of such magnificent creatures. 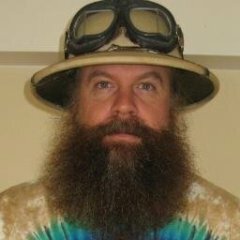 How about some updates to this topic? 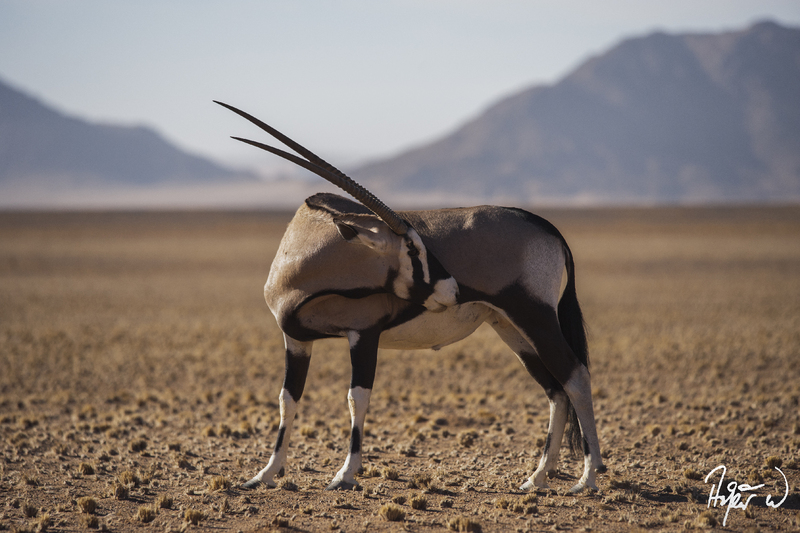 Photographed at 5:14 pm on 1 October, 2014 in Samburu National Reserve, Kenya, using an EOS 1D X camera and an EF 400mm f/2.8L IS II super-telephoto lens. ISO 160, 1/2000 sec., f/3.2, 400mm focal length, handheld Manual exposure. 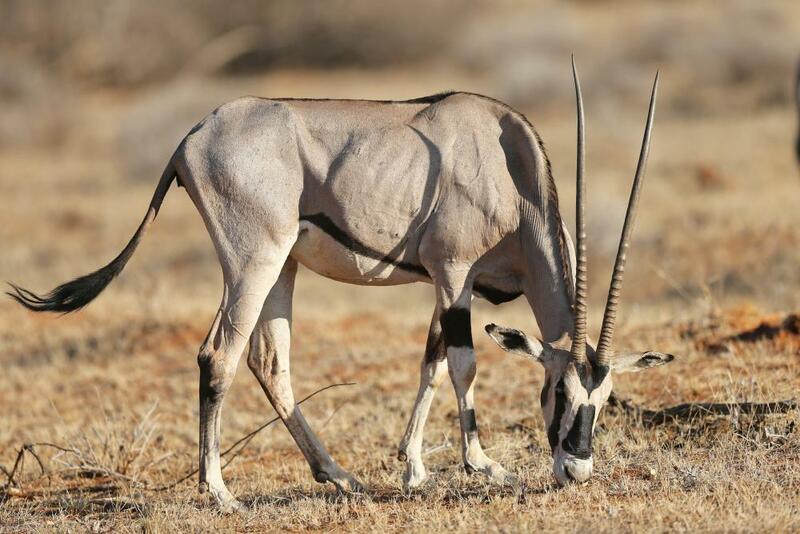 Upon entering Samburu National Reserve in the early evening, we observed a considerable number of Oryx beisa grazing together. More surprising were the Grevy's Zebra intermixed with them. They appeared to be famished, eating with singular intensity despite our presence. 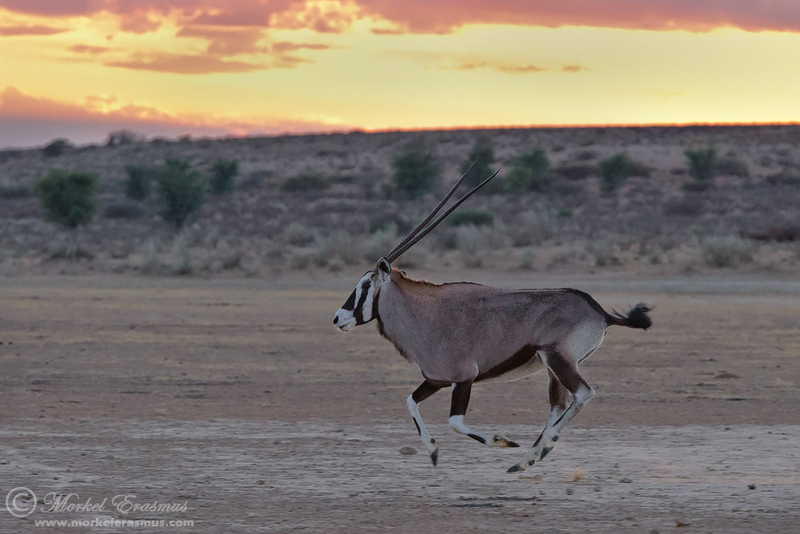 These ones are from the Kgalagadi! 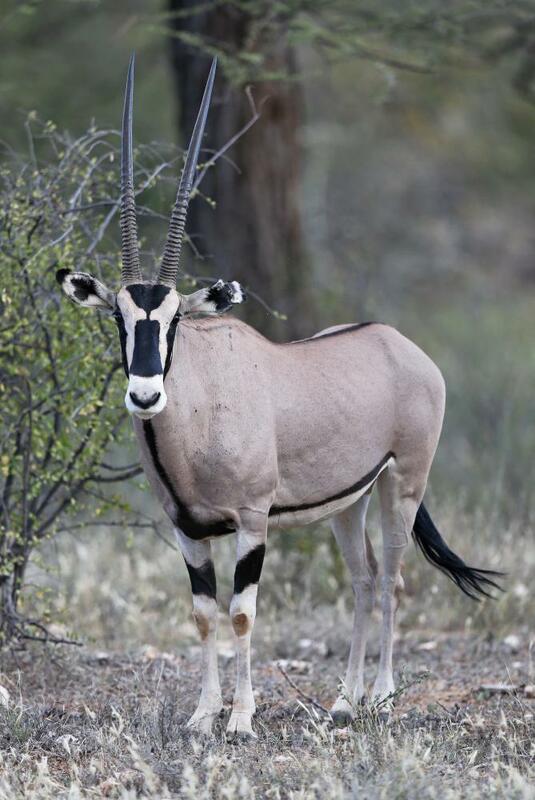 @@Treepol that oryx between the roans is a special special sighting!! Nicely captured. 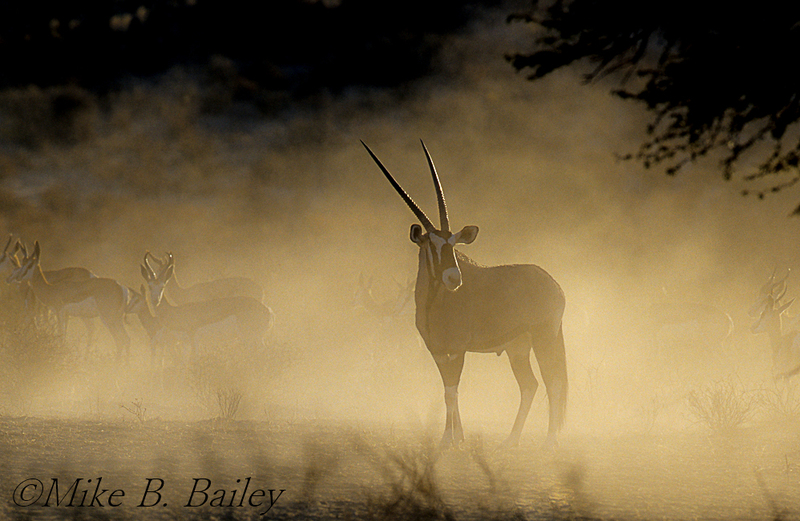 Kgalagadi TP, 2002: Gemsbok and springboks. Photographed at 3:20 pm on 28 April, 2014 in Samburu National Reserve, Kenya, using an EOS 1D X camera and an EF 400mm f/2.8L IS II super-telephoto lens. ISO 800, 1/5000 sec., f/2.8, 400mm focal length, handheld Manual exposure. 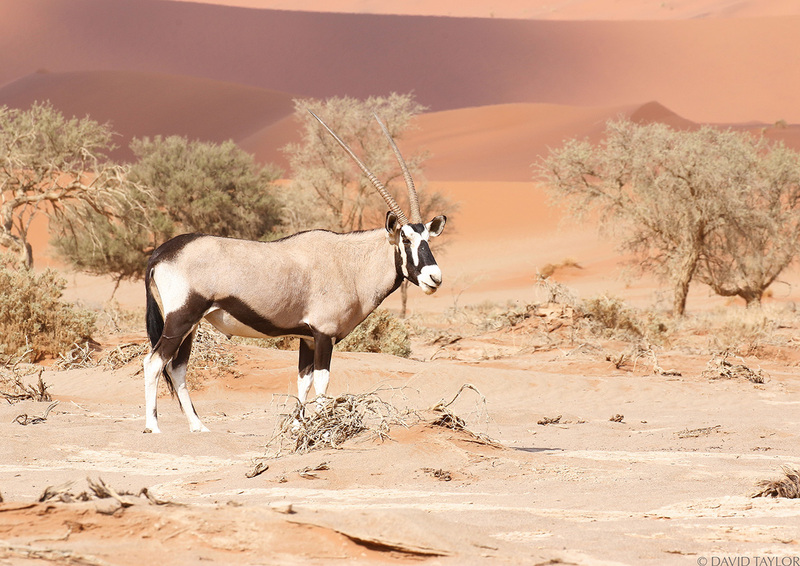 Never having seen oryx before, the first encounter was breathtaking. That such striking animals existed at all was a marvel. Seeing them firsthand was a blessing. 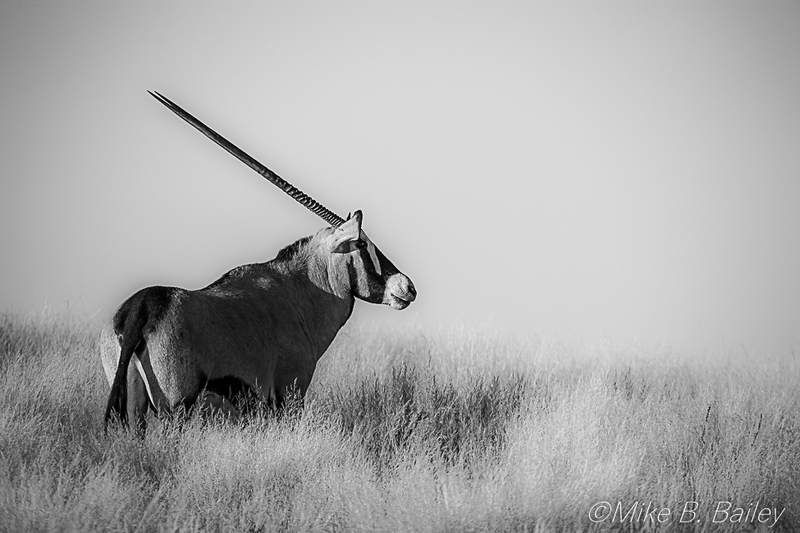 This oryx was among the first group I saw. Such an unmistakable form. A wee touch of Hugh Lofting's Pushmi-Pullyu about it. I've liked seeing oryx ever since. @@Wild Dogger I just love your last shot of the gemsbock because there's so much character in his face. Huab River Valley, Damaraland, Namibia. 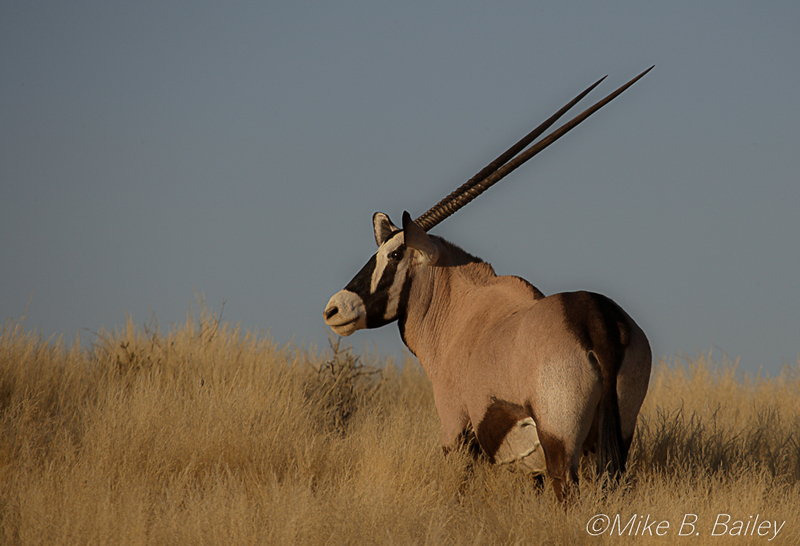 Photographed at 5:15 pm on 1 October, 2014 in Samburu National Reserve, Kenya, using an EOS 1D X camera and an EF 400mm f/2.8L IS II super-telephoto lens. ISO 250, 1/2000 sec., f/2.8, 400mm focal length, handheld Shutter Priority exposure. 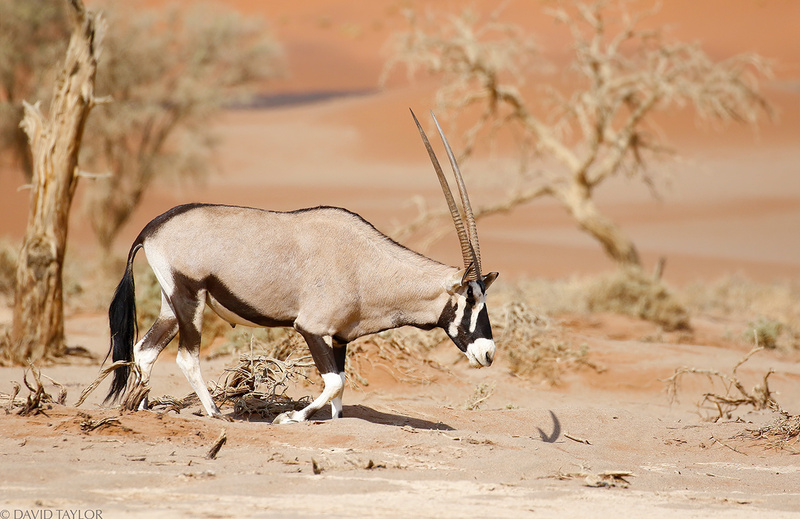 With oryx the visuals outweigh any behavior, in nearly every instance. Which isn't to say that they're dull to observe, but rather acknowledges their extraordinary appearance. With distinctive markings on their legs and face, they're a memorable species. Yet the gaze returns again and again to the horns tapering away towards infinity. 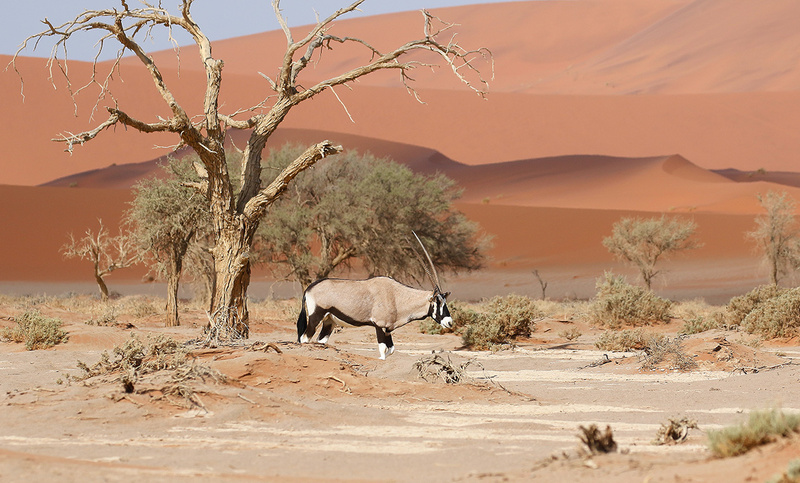 Sossusvlei, a place of wonder. 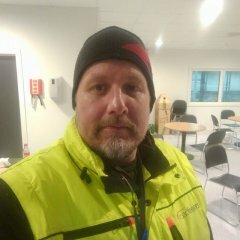 @theplainswanderer Very nice series. 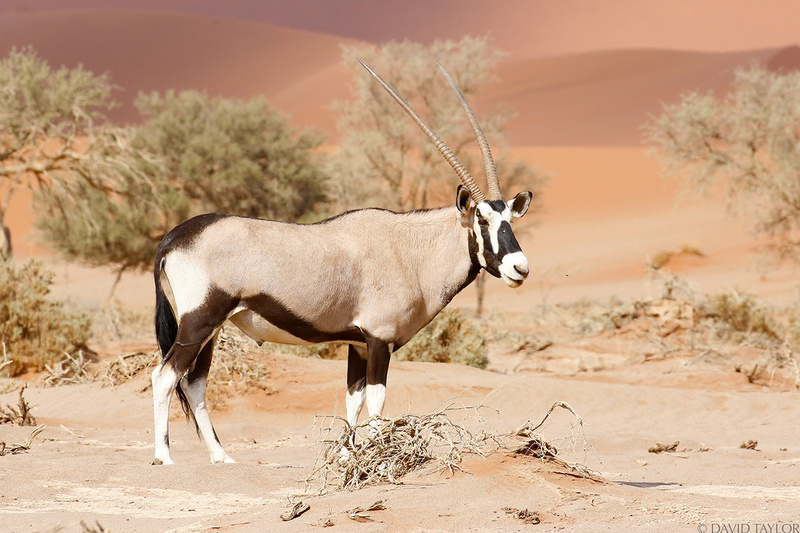 contrasting starkness of landscape with the beautiful markings of the Oryx.